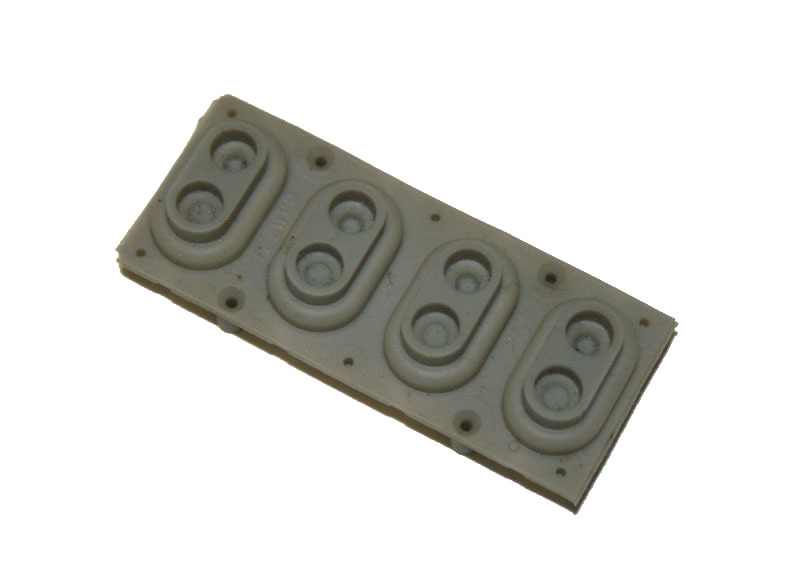 Rubber contact strip for synthesizer keys, 4-note strip. This rubber strip contains carbon contacts inside each "bubble". When a key is depressed, the key presses down on the bubble, and the carbon makes contact with the circuit board (the keyboard "contact board"). This type of strip has two contacts per note; one is to play the note itself, the other is to indicate the velocity at which the note was struck. Click here for help with installing this part.